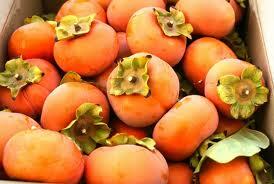 Persimmons are by far my favorite fruit. They are orange colored, very sweet and contain lots fiber. They are also rich in vitamin C, beta carotene, calcium, folate, iron, magnesium and potassium. They are believed to reduce the risk of atherosclerosis, improve lipid function and even combat hangovers! I eat them by cutting them horizontally in half and scooping the flesh out with a spoon. You can also eat them with the skin, just make sure they are ripe. An article published by the Journal of Skin Pharmacology and Physiology concluded that an encapsulated fruit and vegetable concentrate, helps skin be healthier and therefore age less. You may be wondering where to get this concentrate from, no need to look for any. Eating fresh fruits and vegetables and preparing your own juices everyday will probably achieve the same results (I haven’t tested this theory, but I am pretty sure!). Always include lots of greens and a variety of different colored fruits and vegetables. Eat healthy, be happy and as proven recently, beautiful and young as well! Fennel (Hinojo in spanish) is a vegetable packed with disease preventing antioxidants. It can be eaten raw or cooked (I like it better raw) and it has the texture of celery but with a sweet anise flavor. It is very soothing to the digestive system and it is also diuretic. It contains powerful phytochemicals that strengthen blood vessels, improve circulation and reduce heart disease. 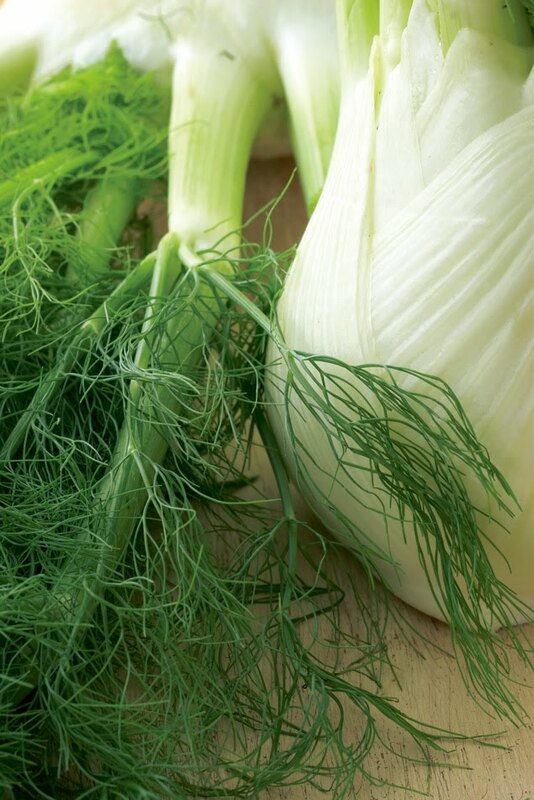 Fennel is rich in vitamins B, C, E and K, beta-carotene, folate, calcium, iron, potassium, zinc and fiber. In a bowl toss fennel with 1 tablespoon olive oil and salt. In another bowl mix the rest of the ingredients together, except for the pomegranate seeds. Divide the greens on to 4 plates, top with fennel and pomegranate seeds, enjoy. High Fructose Corn Syrup (HFCS) is extremely common in processed foods like soft drinks, fruit juices, cereals, chips, breads, soups, dressings, sauces, yogurt, cakes, pet food and many more. HFCS is composed of glucose and fructose and it is produced from corn. It’s a very cheap sweetener so big companies love to use it in their products. It has been associated to overweight, diabetes, cardiovascular disease and some studies conclude that appetite control is suppressed as well. This means that the hormone telling your brain it’s full is not working! So you’ll eat more and not feel satisfied. Oh! And by the way it’s the fastest of the sugars to be converted into fat. Please read the labels on every packaged or processed product you buy, this fattening chemical is everywhere. Be careful, remember the only way to be save is to cook everything form scratch. Eat healthy, be happy! We are starting a new week and recently a new year, so why not start a new diet? Try eliminating the following foods from your diet during this week, I can bet you will feel so great you’ll want to keep eating this way. 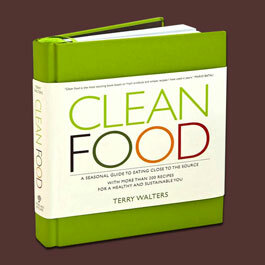 If there are 2 books I could never ever live without, they would have to be these two by Terry Walters. Not only does she give you the healthiest recipes, but she explains step by step how to do the basics, from cooking grains, to choosing the best fruits and vegetables! Her books are divided by seasons and the ingredients she uses are in their most natural, unprocessed state. All the recipes are wholesome and nutritious and by the way, did I mention delicious! So, if you are looking into healthier eating, losing weight or even just a cooking book, these are the ones to buy! The Macrobiotic diet is more than just a diet, it can be considered a way of life. This is a very balanced and nutritious diet. It keeps you healthy (studies say if might prevent cancer and other degenerative diseases) and keeps you at your ideal weight. Macrobiotics include lot’s of grains (50%) and vegetables (30%) which have to be well chewed. Nuts, legumes, beans and miso soup (15%) must also be included. It can be similar to being a vegetarian, but in this case fish is permitted in small quantities (5%). Foods are consumed in their most natural state. Refined and processed foods, dairy, sugar, alcohol, coffee, meats, eggs and poultry are off the list. To eat more like a macrobiotic try incorporating all kinds of different grains to your diet: brown rice, barley, buckwheat and sea vegetables like Kombu, Wakame, Noru and Hijiki.